Note: We are no longer accepting pictures for this site. Now so many people are showing them on Facebook that it's both easier and faster to view them there. Thanks. 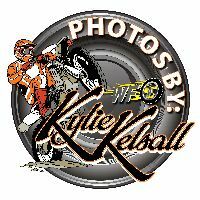 Kylie Kelsall has a bunch of WFO pictures on her Facebook site. Click on the logo to go to her album page. You will have to friend her first for this to work. I am trying something new. These pictures will now be presented as a slideshow. It seems to work best in Internet Explorer or Firefox but it even worked on my smart phone. Please let Stan know if you like this format. Also, they load slow depending on your connection but they are pretty neat once they do load. East Moline, IL August 31. Link to Black Racing's pictures. Click here for lot's of pictures taken by Michael McConaughy. Thanks Mike! Click here for Mini and Quad pictures. Thanks Mike! Mike has some new pictures up from the Colona HS. Pictures from both East Moline and Glasford. I don't have time to sort them. East Moline, IL May 27th. Michael McConaughy has again taken pictures of this event. Click here to access his website. Thanks Mike!